Well the last couple of weeks have been interesting and busy for me. 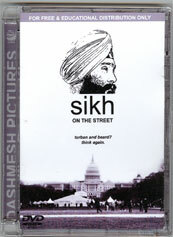 Hopefully by now, you are in the process of making a video for this year's SikhNet Online Film Festival. I've been busy with fun, fun, fun wedding planning (wow! ), however here are two quick items that I wished to comment on that recently hit the news waves. 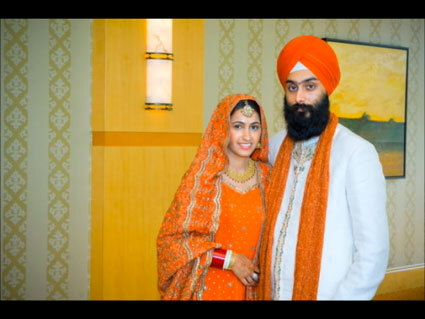 I want to applaud the efforts of Paramjit Singh Sarna and DSGMC for taking a stand in enforcing simple traditional Sikh marriages that are not elaborate and not cash excessive. Although his stance is hard line against the dowry system (which Sikhism is against but for some silly reason still practiced by some Sikhs), this type of measure is needed to jolt people especially with newly coined term of "Big Fat Sikh Weddings" (thank you Mr. Chatwal). And with the silly "Indian mentality," people are too ego driven and try to show off by outdoing one another. You wouldn't believe how many times I have refrained from talking to vendors that I'm a Sikh of Punjabi descent. Once they know that, they have one stereotype in mind: Vast amounts of alcohol, big decorations, flamboyant and huge. Worst part, this is coming from Non-Sikhs who have come to learn this by catering to previous customer needs. My folks were curious to do my wedding reception at this one Hilton location near my home. Once the wedding planner asked me if I was of Indian descent, she pressed me to share more where I'm from in India. She went on even to say "People from Southern India are reserved and have boring parties. 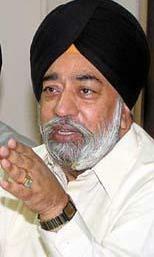 People from the North, especially Punjab, have big huge bashes." 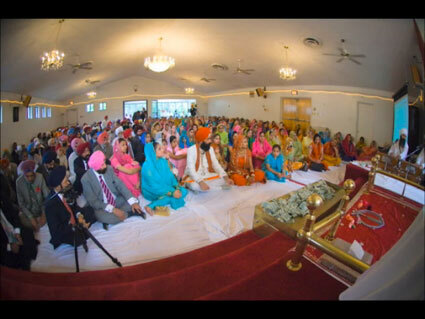 "Oh, so what you want is a big, fat, huge, Punjabi bash for your wedding reception." Really? Is this what I want? I quickly ended the phone conversation and told my parents that the Hilton was a no go. Just the other day, I met with a decorator to see what type of decorations we can do for the wedding reception. The Desi decorator quickly knew I was of Punjabi descent with my distinctive turban and beard, and proceeded to tell me that Punjabi receptions are huge and big on visual decorations. Then she proceeded to ask me what my budget potentially would be to meet the decoration request. I simply gave a one sentence reply: "Simple and beautiful." I went on to explain my rationale to this and she was presently shocked and happy. "Wow." she said, "Your personality and style is of the Anti-Punjabi nature. I like it." Anti-Punjabi. Yes that's me, and I'm proud of it. 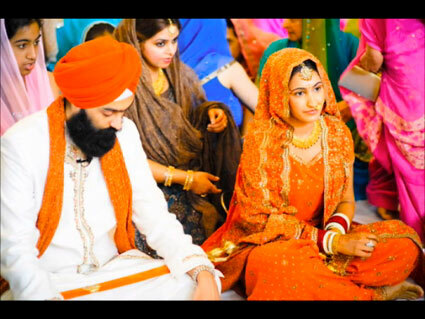 Hopefully the next generation of Singhnees and Singhs can lead the way and remove this horrible stereotype towards the principle and values behind Sikh weddings. 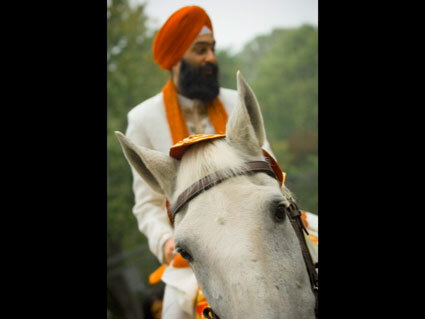 It small steps, as Mr. Sarna has done, which will hopefully take us in this much needed direction. Okay, enough babbling. Time for fun. Time for Snake. I'll have to devote about one-two weeks once Metal Gear Solid 4: Guns of Patriots comes out. When the following trailer below was shown at E3 a couple weeks back, I watched it like four bajillion times driving my Mom crazy as I quoted the lines of Solid Snake. This is the game that will make me buy a PS3, but only when it comes out. I'm no hero. Never was. God Bless you Solid Snake! - Naomi Hunter is seen with Liquid Ocelot in the beginning and is in the chopper that he is about to board at the end. 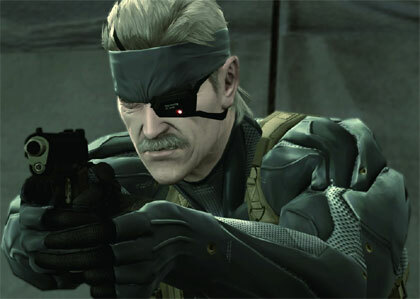 - No one is effected by the "mind control" that is invoked on all the various soldiers by Ocelot except for Snake and the masked guy with the glasses who is with Meryl. This type of mind control, as shown by Gene in Portable Ops, had no effect either on Big Boss. I'm curious to see who the masked guy is, and how he may potentially continue the Metal Gear series. Solid Snake is my video game hero. That's it. I'm out. Time to wash my hair. The World watched as the Sikhs died. Obama the Turbanator, say it ain't so!!! Bhai Sahib Gurdarshan Singh Rules!! !